Adam and Eve had the joy of talking face to face with their Maker. Sin abruptly ended that privilege. After Adam and Eve sinned and could no longer commune with Yahuwah face to face, Yahuwah instructed His children through inspired prophets. In this lesson, we will examine this important gift and how we can determine the true prophets from the false. 1. What three things does Paul command regarding prophets? 2. How do I test, or prove, what a prophet says, to see if the prophet is true? A. “Wherefore by their fruits ye shall know them.” Matthew 7:20. “Of which salvation the prophets have inquired and searched diligently, who prophesied of the grace that should come unto you: Searching what, or what manner of time the Spirit of the Anointed which was in them did signify, when it testified beforehand the sufferings of the Anointed, and the glory that should follow.” 1 Peter 1:10, 11. “But ye are not in the flesh, but in the Spirit, if so be that the Spirit of Yahuwah dwell in you. Now if any man have not the Spirit of the Anointed, he is none of his.” Romans 8:9. “But to us there is but one Eloah, the Father, of whom are all things, and we in him; and one Master, Yahushua the Anointed, by whom are all things, and we by him.” 1 Corinthians 8:6. “And this is life eternal, that they might know thee the only true Eloah, and Yahushua, the Anointed, whom thou hast sent.” John 17:3. For further study on this most important topic, please refer back to the lesson entitled: How Many Deities Are In Heaven? “For the prophecy came not in old time by the will of man: but holy men of Yahuwah spake as they were moved by the Holy Ghost.” 2 Peter 1:21. “Beloved, believe not every spirit, but try the spirits whether they are of Yahuwah: because many false prophets are gone out into the world. Hereby know ye the Spirit of Yahuwah: Every spirit that confesseth that Yahushua, the Anointed, is come in the flesh is of Yahuwah” 1 John 4:1, 2. F. While in vision, a true prophet has no breath, and his natural strength is gone. "As for me, straightway there remained no strength in me, neither is there breath left in me. Then there came again and touched me one like the appearance of a man, and he strengthened me." Daniel 10:17-18. G. While in vision, a true prophet can nevertheless speak. "And when he [the angel] had spoken such words unto me, I set my face toward the ground, and I became dumb [unable to speak]. And, behold, one like the similitude of the sons of men touched my lips: then I opened my mouth, and spake." Daniel 10:15-16. H. While in vision, a true prophet keeps his eyes open. "He hath said, which heard the words of El, and knew the knowledge of the most High, which saw the vision of the Almighty, falling into a trance, but having his eyes open." Numbers 24:16. I. While in vision, a prophet is unconscious of his surroundings. "I knew a man in the Anointed above fourteen years ago, (whether in the body, I cannot tell; or whether out of the body, I cannot tell: Yahuwah knoweth;) such an one caught up to the third heaven. . How that He was caught up into paradise, and heard unspeakable words, which it is not lawful for a man to utter." 2 Corinthians 12:2, 4. 3. How did Yahushua speak to the people? It was Yahushua that spoke to His people through the prophets. The apostle Peter, writing to the Christian ekklesia, says that the prophets prophesied of the grace that should come unto you: searching what, or what manner of time the Spirit of the Anointed which was in them did signify, when it testified beforehand the sufferings of the Anointed One and the glory that should follow. 1 Peter 1:10, 11. It is the voice of Yahushua that speaks to us through the Old Testament. The testimony of Yahushua is the spirit of prophecy. Revelation 19:10. 4. Where does prophecy come from? 5. What is the purpose of prophecy? “Now I tell you before it come, that, when it is come to pass, ye may believe that I am he.” John 13:19. “But these things have I told you, that when the time shall come, ye may remember that I told you of them. And these things I said not unto you at the beginning, because I was with you.” John 16:4. 6. On what was the gospel message of Yahushua based? “Now when Yahushua had heard that John was cast into prison, he departed into Galilee. And leaving Nazareth, he came and dwelt in Capernaum, which is upon the sea coast, in the borders of Zabulon and Nephthalim: That it might be fulfilled which was spoken by Esaias the prophet, saying, The land of Zabulon, and the land of Nephthalim, by the way of the sea, beyond Jordan, Galilee of the Gentiles; The people which sat in darkness saw great light; and to them which sat in the region and shadow of death light is sprung up. From that time Yahushua began to preach, and to say, Repent: for the kingdom of heaven is at hand.” Matthew 4:12-17. “Now after that John was put in prison, Yahushua came into Galilee, preaching the gospel of the kingdom of Yahuwah, And saying, The time is fulfilled, and the kingdom of Yahuwah is at hand: repent ye, and believe the gospel.” Mark 1:14, 15. 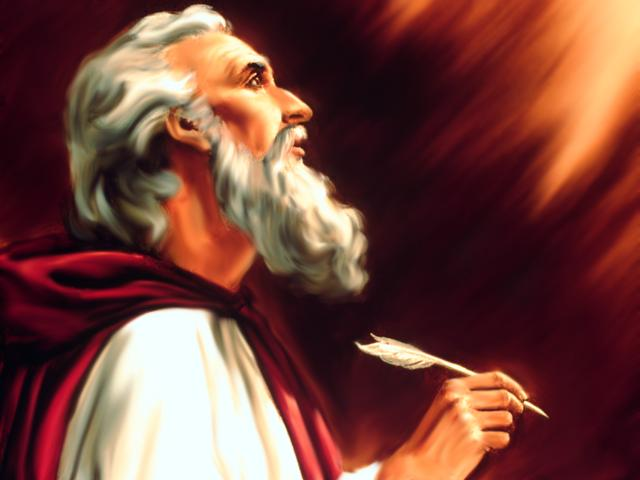 7. Who were some in the New Testament, other than the apostles and Paul, who had the gift of prophecy? “And there was one Anna, a prophetess, the daughter of Phanuel, of the tribe of Aser: she was of a great age, and had lived with an husband seven years from her virginity” Luke 2:36. “For I say unto you, among those that are born of women there is not a greater prophet than John the Baptist: but he that is least in the kingdom of Yahuwah is greater than he.” Luke 7:28. “And there stood up one of them named Agabus, and signified by the Spirit that there should be great dearth throughout all the world: which came to pass in the days of Claudius Caesar.” Acts 11:28. “And the same man had four daughters, virgins, which did prophesy. And as we tarried there many days, there came down from Judaea a certain prophet, named Agabus.” Acts 21:9, 10. “And Judas and Silas, being prophets also themselves, exhorted the brethren with many words, and confirmed them.” Acts 15:32. 8. What is the prophet's ministry? “Surely the Sovereign Yahuwah will do nothing, but he revealeth his secret unto his servants the prophets.” Amos 3:7. 9. What were the prophets called in olden times? “(Beforetime in Israel, when a man went to inquire of Elohim, thus he spake, Come, and let us go to the seer: for he that is now called a Prophet was beforetime called a Seer. )” 1 Samuel 9:9. “Since the day that your fathers came forth out of the land of Egypt unto this day I have even sent unto you all my servants the prophets, daily rising up early and sending them:” Jeremiah 7:25. “Then spake Haggai Yahuwah's messenger in Yahuwah's message unto the people, saying, I am with you, saith Yahuwah.” Haggai 1:13. “He said, I am the voice of one crying in the wilderness, Make straight the way of Yahuwah, as said the prophet Esaias.” John 1:23. 10. What was the work of a true prophet? “And the word of Yahuwah came to Elijah the Tishbite, saying, Arise, go down to meet Ahab king of Israel, which is in Samaria: behold, he is in the vineyard of Naboth, whither he is gone down to possess it. And thou shalt speak unto him, saying, Thus saith Yahuwah, Hast thou killed, and also taken possession? And thou shalt speak unto him, saying, Thus saith Yahuwah, In the place where dogs licked the blood of Naboth shall dogs lick thy blood, even thine. And Ahab said to Elijah, hast thou found me, O mine enemy? And he answered, I have found thee; because thou hast sold thyself to work evil in the sight of Yahuwah. Behold, I will bring evil upon thee, and will take away thy posterity, and will cut off from Ahab him that pisseth against the wall, and him that is shut up and left in Israel, And will make thine house like the house of Jeroboam the son of Nebat, and like the house of Baasha the son of Ahijah, for the provocation wherewith thou hast provoked me to anger, and made Israel to sin.” 1 Kings 21:17-22. “Then the king of Syria warred against Israel, and took counsel with his servants, saying, In such and such a place shall be my camp. And the man of Elohim sent unto the king of Israel, saying, Beware that thou pass not such a place; for thither the Syrians are come down. And the king of Israel sent to the place which the man of Elohim told him and warned him of, and saved himself there, not once nor twice. Therefore the heart of the king of Syria was sore troubled for this thing; and he called his servants, and said unto them, Will ye not show me which of us is for the king of Israel? And one of his servants said, None, my master, 0 king: but Elisha, the prophet that is in Israel, telleth the king of Israel the words that thou speakest in thy bedchamber.” 2 Kings 6:8-12. “And the messenger that was gone to call Micaiah spake unto him, saying, Behold now, the words of the prophets declare good unto the king with one mouth: let thy word, I pray thee, be like the word of one of them, and speak that which is good. And Micaiah said, As Yahuwah liveth, what Yahuwah saith unto me, that will I speak.” 1 Kings 22:13, 14. "Thus saith Yahuwah Eloah of Israel; I made a covenant with your fathers in the day that I brought them forth out of the land of Egypt, out of the house of bondmen, saying, At the end of seven years let ye go every man his brother an Hebrew, which hath been sold unto thee; and when he hath served thee six years, thou shalt let him go free from thee: but your fathers hearkened not unto me, neither inclined their ear. And ye were now turned, and had done right in my sight, in proclaiming liberty every man to his neighbour; and ye had made a covenant before me in the house which is called by my name: But ye turned and polluted my name, and caused every man his servant, and every man his handmaid, whom he had set at liberty at their pleasure, to return, and brought them into subjection, to be unto you for servants and for handmaids. Therefore thus saith Yahuwah; Ye have not hearkened unto me, in proclaiming liberty, every one to his brother, and every man to his neighbour: behold, I proclaim a liberty for you, saith Yahuwah, to the sword, to the pestilence, and to the famine; and I will make you to be removed into all the kingdoms of the earth.” Jer 34:8, 10-17. “Now the word of Yahuwah came unto Jeremiah, while he was shut up in the court of the prison, saying, Go and speak to Ebedmelech the Ethiopian, saying, Thus saith Yahuwah of hosts, the Eloah of Israel; Behold, I will bring my words upon this city for evil, and not for good; and they shall be accomplished in that day before thee. But I will deliver thee in that day, saith Yahuwah: and thou shalt not be given into the hand of the men of whom thou art afraid. For I will surely deliver thee, and thou shalt not fall by the sword, but thy life shall be for a prey unto thee: because thou hast put thy trust in me, saith Yahuwah.” Jeremiah 39:15-18. “Son of man, I have made thee a watchman unto the house of Israel: therefore hear the word at my mouth, and give them warning from me.” Ezekiel 3:17. “But there is an Eloah in heaven that revealeth secrets, and maketh known to the king Nebuchadnezzar what shall be in the latter days. Thy dream, and the visions of thy head upon thy bed, are these” Daniel 2:28. “And by a prophet Yahuwah brought Israel out of Egypt, and by a prophet was he preserved.” Hosea 12:13. 11. Do miracles prove that a prophet is true? Answer: No. “John did no miracle: but all things that John spake of this man were true.” John 10:41. 12. Yahuwah promises to speak to a true prophet in one of three ways. What are these three ways? “And he said, Hear now my words: If there be a prophet among you, I Yahuwah will make myself known unto him in a vision, and will speak unto him in a dream.” Numbers 12:6. “With him will I speak mouth to mouth, even apparently, and not in dark speeches; and the similitude of Yahuwah shall he behold: wherefore then were ye not afraid to speak against my servant Moses?” Numbers 12:8. 13. What happens to a person who believes and obeys true prophets? “And they rose early in the morning, and went forth into the wilderness of Tekoa: and as they went forth, Jehoshaphat stood and said, Hear me, O Judah, and ye inhabitants of Jerusalem; Believe in Yahuwah your Elohim, so shall ye be established; believe his prophets, so shall ye prosper.” 2 Chronicles 20:20. Huldah - 2 Kings 22:14. 15. What five gifts were named by Paul as being bestowed on the ekklesia? “And he gave some, apostles; and some, prophets; and some, evangelists; and some, pastors and teachers.” Ephesians 4:11. 16. What provision has Yahuwah made to protect His faithful people against the wrath of Satan in the last days? “And the dragon was wroth with the woman, and went to make war with the remnant of her seed, which keep the commandments of Yahuwah, and have the testimony of Yahushua, the Anointed.” “Here is the patience of the saints: here are they that keep the commandments of Yahuwah, and the faith of Yahushua.” Revelation 12:17; 14:12. 17. What else is required of a true prophet? “But the prophet, which shall presume to speak a word in my name, which I have not commanded him to speak, or that shall speak in the name of other elohim, even that prophet shall die. And if thou say in thine heart, How shall we know the word which Yahuwah hath not spoken? When a prophet speaketh in the name of Yahuwah, if the thing follow not, nor come to pass, that is the thing which Yahuwah hath not spoken, but the prophet hath spoken it presumptuously: thou shalt not be afraid of him.” Deuteronomy 18:20-22. NOTE: The teachings of a prophet must be tested by Scripture. This is our only safety. Conduct may appear to be very spiritual but this proves nothing in itself: “For such are false apostles, deceitful workers, transforming themselves into the apostles of the Anointed. And no marvel; for Satan himself is transformed into an angel of light. Therefore it is no great thing if his ministers also be transformed as the ministers of righteousness; whose end shall be according to their works.” 2 Corinthians 11:13-15. Unless a prophet's teachings agree with Scripture, he is an imposter, a false teacher. To follow such is to be led to destruction. 18. In what condition then would an ekklesia be which did not have the gift of prophecy? “Let them alone: they be blind leaders of the blind. And if the blind lead the blind, both shall fall into the ditch.” Matthew 15:14.